Ann Peel is endorsed by Mary Ann Grainger, former CEO of the Toronto-Danforth Green Party Assn and Campaign Manager of Toronto-Danforth’s 2008 federal election campaign; and Chris Lea, former leader of the Green Party of Canada. I’m not at home. I’m away on a trip and will miss the nomination meeting, but I am most pleased there will be a contest. For the last few years I have been impressed with the hard work of Adriana Mugnatto-Hamu but I am convinced that a change would be heathy and take us to a new level. After considering the candidates I would like to endorse Ann Peel to be our next candidate. 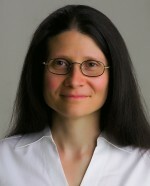 Adriana Mugnatto-Hamu is the Climate Change Critic for the Green Party of Canada and was the party’s local candidate for the 2011 general election. She has lived in Riverdale for 10 years with her husband Charlie and their children. This community is her home and she will always work to make it more safe, beautiful and vibrant. 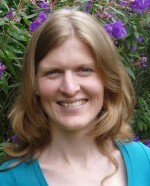 As part of a commitment to fight for a liveable world for her five children, Adriana joined the Green Party in 2005 and revitalized the riding association as the CEO. Since then, she has been reaching out to the community, raising awareness of the climate crisis and promoting the policies necessary to address it. Following the untimely passing of Jack Layton, Toronto-Danforth is not currently represented in Parliament. This vacancy will be filled in a by-election that must be called by Prime Minister Harper before the end of February. Update: The by-election was announced February 5, the same day we chose Adriana Mugnatto-Hamu as our candidate. Election day will be Monday, March 19. According to Elections Canada, the by-election in Toronto-Danforth must be called no later than 2012 February 26.